New and improved--thinner lighter designs are easier for kids to handle. Kids will have a Blast playing with these perfectly safe handmade toys! Each Blaster design launches standard ping pong balls using industrial grade rubber band power. Extra "ammunition" stores conveniently on both sides of the Blasters. Wood axle pegs make attaching rubber bands a snap. Make both fun projects from a small piece of 3/4" thick wood, a couple of standard wooden clothespins and our wooden axle pegs (sold below). Our full-size pattern includes complete step-by-step instructions and photos. Ping Pong Balls and Industrial Grade Rubber Bands are available separately below. 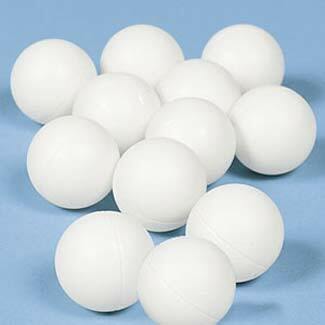 12 white ping pong balls for use with our Ping Pong Ball Blasters (Pattern #W2106) and our Ping Pong Ball Launchers (Pattern #W2102) both sold separately. 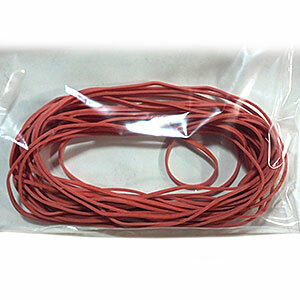 25 count bag of 8" long red Industrial Grade Rubber Bands. 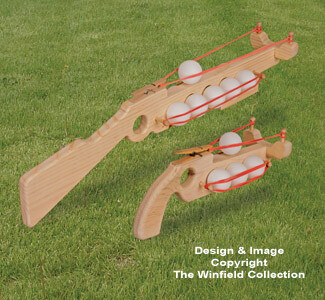 Perfect for use with our Ping Pong Blasters (Pattern #W2106) and our Ping Pong Ball Launchers (Pattern #W2102) both sold separately. Quality turned and sanded Wood Axles. 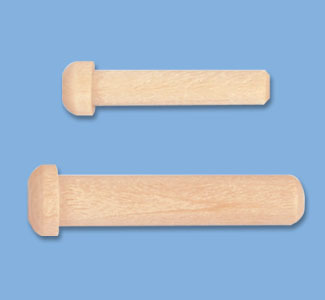 Use with our wooden wheels or as hanging pegs in your wood projects. Save 25-40% when you buy 20 or more! Add items to your Cart to see final pricing.